Your famous recipes are cooked with a pinch of this, a pinch of that, and an extra spoonful of love. Celebrate family and good, old fashioned home cooking with this heirloom inspired, farmhouse trestle table. 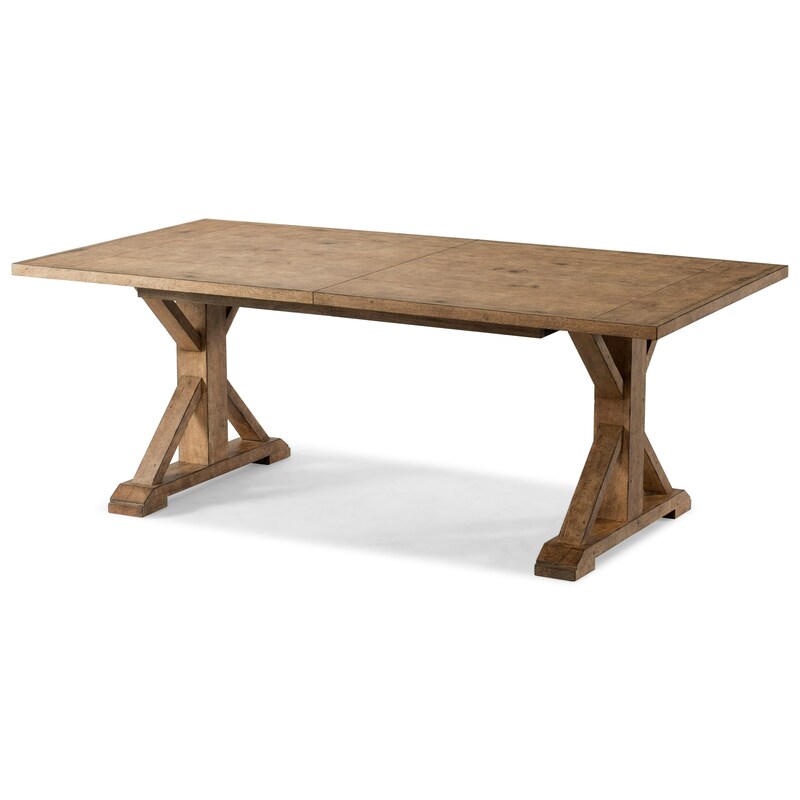 The traditional trestle shape and the time-worn appearance of the distressed wood finish creates a rustic and nostalgic centerpiece for your dining room. You can even grow the table to its full length of 100 inches to seat the extended family for holiday dinners. The Coming Home Homecoming Dining Trestle Table with One Table Leaf by Trisha Yearwood Home Collection by Klaussner at Sam Levitz Furniture in the Tucson, Oro Valley, Marana, Vail, and Green Valley, AZ area. Product availability may vary. Contact us for the most current availability on this product. Handles & Hardware The hand-forged character of the burnished pewter pulls and knobs, complete the distinctive and extraordinary character of this collection. The Coming Home collection is a great option if you are looking for Relaxed Vintage furniture in the Tucson, Oro Valley, Marana, Vail, and Green Valley, AZ area. Browse other items in the Coming Home collection from Sam Levitz Furniture in the Tucson, Oro Valley, Marana, Vail, and Green Valley, AZ area.